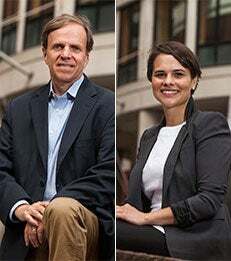 The directors of the Center for Business and Human Rights at the New York University Stern School of Business, Michael Posner and Sarah Labowitz responded to the Obama administration’s announcement that it would begin the process of writing a national action plan to examine the impact of business on global human rights. In a letter to President Obama, the authors urged the administration to look closely at certain sectors that are at particularly high risk for human rights violations including information technology, private security contracting and extractives and mining. He also called for the U.S. Agency on International Development (USAID) to consider its role in assisting U.S. companies looking to protect human rights in the global supply chain. The full text of the letter is available below. The NYU Stern Center for Business and Human Rights is working to challenge and empower companies and future business leaders to make practical progress on human rights. In its first year the Center convened U.S. companies and manufacturing industry leaders from Bangladesh to discuss persistent safety problems in the wake of one of the deadliest industrial disasters in history. The Center recently began a research project into the human rights risks and responsibilities of technology companies operating in markets with repressive rights records and the collection and treatment of individuals' data by those same companies. We read with interest your September 24 announcement at the Open Government Partnership that the United States will produce a National Action Plan on responsible and transparent business conduct. Your leadership in this area is important. If done well, developing a National Action Plan will help strengthen the U.S. government’s role in advancing sustainable business practices. As you noted at the Open Government Partnership meeting in New York, both businesses and societies benefit when companies act in accordance with standards and rules for responsible conduct. After serving in your Administration, we co-founded the NYU Stern Center for Business and Human Rights in March 2013, which is the first human rights center at a business school. In initiating the National Action Plan, it will be important to focus not only on U.S. efforts to combat corruption, but on a broader sustainability agenda. A recent white paper published by the World Economic Forum defines business sustainability “in terms of the environment, economic development, human rights, women’s empowerment, and rule of law.” The U.S. National Action Plan should address business sustainability in each of these areas. The power of the U.S. example is especially important in the emerging field of business and human rights. To date, three countries – the United Kingdom, the Netherlands, and Denmark – have completed National Action Plans on business and human rights, and three others – Italy, Spain, and Finland – have published drafts. While there are aspects of these plans that are meaningful, considered collectively, they set a very low bar in outlining what governments can and should be doing to encourage businesses to abide by high human rights standards. With the development of a National Action Plan, the United States is well poised to set the standard for government action to advance efforts by businesses to respect human rights. Electronics and mining: Section 1502 of the Dodd-Frank Act requires reporting on company practices regarding conflict minerals in the Democratic Republic of Congo. What steps is the administration taking to respond to litigation by the U.S. Chamber of Commerce, the Business Roundtable, and the National Association of Manufacturers which seeks to block compulsory SEC reporting, as mandated by the Dodd-Frank Act? How does the administration plan to address non-compliance by companies with this reporting requirement? Information and communication technology: In 2012, the Administration implemented an “Executive Order Blocking The Property And Suspending Entry into the United States of Certain Persons with Respect to Grave Human Rights Abuses by the Governments of Iran and Syria Via Information Technology” (the “GHRAVITY E.O.”). The Administration heralded the order as a means of combatting serious human rights abuses by the governments of Iran and Syria via network disruption, monitoring, and tracking facilitated by companies. Since its enactment, OFAC has not taken any enforcement action under the executive order. What steps will the Administration take when companies are in violation of this provision? Business and human rights in Myanmar: The Administration’s “Burma Responsible Investment Reporting Requirements” went into effect in May 2013. These reporting requirements are intended to mitigate the risk of U.S. companies contributing to corruption and human rights abuses in the opening up of the Myanmar market. Will the Administration assess the initial reports submitted by U.S. companies doing business in Myanmar in response to concerns that some reports are not in compliance with the requirements? Will the Administration monitor and regulate company reporting? What actions is the Administration prepared to take either when companies decline to report or produce deficient reports? State-based reporting requirements and trafficking in persons: How will the federal government communicate its intention to produce a National Action Plan to state governments? For example, what steps will the Administration take to ensure that companies that do business in California comply with the 2010 California Transparency in Supply Chains Act SB-657? Voluntary Principles on Security and Human Rights: What steps are the Administration taking to encourage U.S.-based oil, gas, and mining companies to participate actively in the Voluntary Principles on Security and Human Rights? How is the United States supporting efforts within that organization to develop key performance indicators to measure company performance against the initiative’s human rights standard? International Code of Conduct for Private Security Providers: What steps in the administration taking to strengthen the scope and authority of the newly formed International Code of Conduct for Private Security Providers (ICOC-PSP)? Currently the State and Defense Departments have conflicting approaches relating to the primacy of the ICOC-PSP standard. Will the National Action Plan address these conflicting approaches? Is the White House prepared to convene an interagency review to reconcile these differences and maximize U.S. support for the ICOCA-PSP process? The Kimberley Process: What steps is the US government taking to address serious deficiencies in the Kimberley Process (KPs)? What role will the U.S. government play in trying to extend the KPs human rights standard to governments such as the government of Zimbabwe, that have committed human rights violations in diamond mining operations that benefit the government? The Administration has revised its export control process to give greater authority to the Commerce Department, rather than the State Department, as a means of expanding U.S. exports. While expanding U.S. exports is a laudable goal, the move to Commerce has raised serious questions about relaxed standards for export approval for guns and other military weapons and equipment to countries where gross human rights violations are occurring. Will the National Action Plan include a comprehensive review of the export licensing procedures throughout the U.S. government and the ways in which these procedures can strengthen the human rights review process? The Sergei Magnitsky Rule of Law Accountability Act of 2012 imposes visa restrictions and asset freezes on business and political leaders in Russia who are clearly implicated in human rights abuses. Executive Orders designating individuals responsible for human rights abuses and public corruption in other countries also are intended to restrict visas and freeze assets of these individuals. What is the Administration doing to thoroughly review OFAC’s compliance record with respect to these provisions? In a number of countries, U.S. companies confront significant human rights challenges that they alone do not have the capacity to resolve. One such case involves factory safety issues in Bangladesh, a problem that became more obvious after the collapse of the Rana Plaza factory complex. A group of American and European brands and retailers have invested in programs of factory inspections that reveal the need for a substantial investment in factory repairs and relocations. Will the National Action Plan examine the appropriate role for USAID and other government funding sources to help defray the remedial costs in Bangladesh and perhaps in other places where U.S. companies face similar challenges? In the context of the National Action Plan, we also encourage you to examine the role of American Chambers of Commerce around the world in promoting a culture of sustainability in the overseas operations of U.S. companies, especially in markets with significant human rights, environmental, and rule of law challenges. The NYU Stern Center for Business and Human Rights supports the Administration’s efforts to develop a comprehensive National Action Plan, as long as its mandate allows it to explore the types of issues outlined above. We stand ready to work with those within the Administration who will be charged with carrying out this review and in contributing views and input on specific issue areas. We also would be happy to provide a venue here at NYU to convene relevant experts from business, civil society, and academia as part of the administration’s broader review.